Conservatory Vs Extension - Which is the best option? Conservatory Vs Extension - Which is the best option? Which is the best option for your home? Conservatory Vs Extension. At some point, many homeowners will feel the need to add extra living space to their property, and are undecided as to which is the best option. Choosing the right option, especially if you are thinking of extending before selling, is very important to get the best value for money. Not all home extensions are equal, varying greatly in cost, complexity and value for money. A popular alternative to a home extension is to build a conservatory, but what are the advantages, disadvantages and likely costs of a conservatory Vs extension? Home extension options – what are the most common types and their pros & cons? Conservatory extension options – what are the most common types and their pros & cons? Price guides for conservatory Vs extension. There are typically 3 ways to create more living space in your home. In most cases, extending upwards means a loft conversion. Converting the unused space in the attic is a tried & trusted method of making the most of your existing property to create extra living space. Popular uses are as a study / home office, an extra bedroom or bathroom / shower. 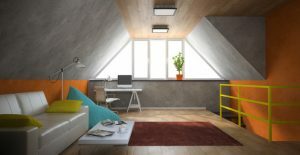 Converting the attic space is not something to be undertaken lightly, simply because of all the extra weight loading that will be created by converting the space to a habitable environment. Whilst you may be able to do certain types of loft conversions without planning permission, you will certainly need to meet UK building regulations. If you live in a semi or terraced house, you may need to inform the neighbours of you proposed project if it falls under the party walls act. This work should only be undertaken by experts with a lot of direct experience in this type of project. The biggest advantage is that you don’t need to use any exterior space, so if you have no outside area to extend, you can make use of the loft. You can also keep it quite simple if you like, just adding flooring and stud walls to create a study or bedroom. A traditional bricks & mortar extension at the side or rear of the property remains very popular for those who have the space. A new kitchen or dining area is very often the reason for the extension. Double height extensions can give really good value for money, but you need a healthy budget. 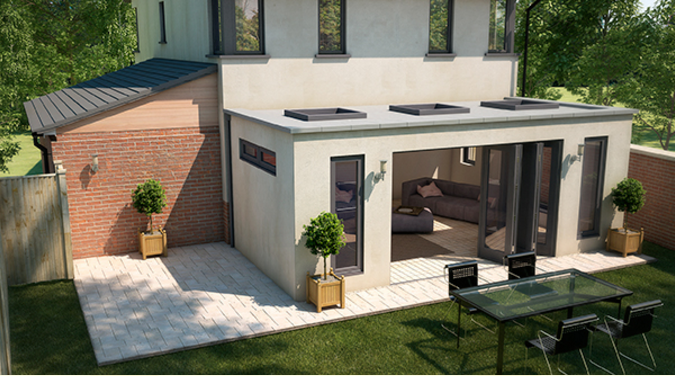 The advantages of external extensions are that you can have them designed to your specifications, simple, ornate or ultra-modern, there are unlimited options. They are also proven to add monetary value to any property. One thing to bear in mind, is that in certain parts of the UK, a garage or parking space can be more preferred & valuable than living space. Some of the disadvantages are that you may need planning permission subject to meeting some rules. Solid bricks & mortar extensions are labour intensive and not the cheapest of options for extra living space. Converting an existing basement is unlikely to require planning permission and can be done as simply as a garage conversion. Creating a new basement (digging one out) is a whole different ballgame. Fraught with difficulty, and the costliest per cubic metre of space, you have to consider this one in depth and consult with highly experienced experts. You will definitely need planning permission to create a new basement room. Adding a conservatory to the side or rear of a property seems to have become the “National Pastime”. Conservatories are hugely popular as ways to add more room to the house. They are readily available from a vast number of suppliers. Lots of variation in size & designs. Easy to install, in a matter of a week or 2, with little disruption. They add re-sale value to the property and make it more desirable for buyers. Cost effective – you get a lot of living space for your money. Most small to medium size conservatories can be built without planning permission. The disadvantages are few, and mainly centre around usability during hot or cold weather. However, if you take advantage of the latest glazing technology then a modern conservatory can be used all year long. Victorian conservatories – plus variations such as the P-shape or B-shape. Lean to conservatories – plus variations such as L-shape, T-shape. Edwardian conservatories – plus variations such as T-shape. Georgian conservatories – Plus variations such as L-shape, T-shape. You can also choose the main material from which to build, such as aluminium, timber or uPVC. In terms of the need to get planning permission to build a conservatory, if you fall within the Permitted development guidelines (link below) you can usually build without it. Always check with your local planning authority before starting work on the conservatory. How much does a conservatory cost versus the cost of loft, basement and other extensions? It’s going to be very difficult to compare “like for like” in terms of exact sizes, but as a rough guide these are the approximate costs that you could expect to see in the market for different types of home extensions. How much does a loft extension cost? A simple room loft conversion with a couple of Velux windows could cost in the region of around £15,000. However, the cost of a dormer extension, for a double bedroom with shower, can run over £30,000+. For a simple conversion to a room, you could be looking at a few thousand pounds up to £15,000 to convert it into something like a new kitchen. If you use high end kitchen fittings & fixtures, you can go over £10,000 just for the kitchen itself. Converting an existing basement into a simple living room can be done for much the same price as a mid-range garage conversion. Assuming the basement does not need to be lined or “tanked” to waterproof it and that there are no other requirements such as re-routing power or drains etc. To create a new room is costly. You could be looking at up to £2,500 to £2,700 per square metre of floor space which can be further increased by around another £5,000 to £10,000 if you need a new access door or light-well. A single storey extension, such as a dining or living room can run from anywhere between £1,000 & £2,000 per square metre, with the higher prices in London & South East England. On average, a typical extension can cost around £30,000, but go up to £40,000 or £50,000 for the same size extension in the London area. Conservatory prices can run from £8,500 for a lean to design up to over £30,000 for a bespoke conservatory. Each home extension has its own merits and some homeowners will certainly have a preference. But if you have the external room to do so, adding a conservatory is demonstrably the most cost efficient and value for money way of adding that extra living space to your home. We have installers all over the UK ready to quote for your new conservatory, just click the button to find out how much a new conservatory cost for your home.